Prepare grill with coals and wood chips to create smoke. Marinate fish in barbeque sauce for 15 minutes. Place lemon slices inside fish. 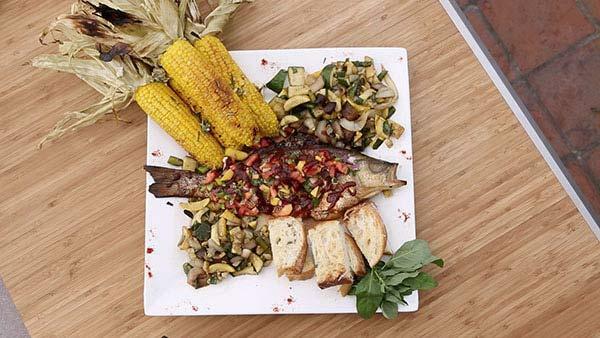 Place fish on grill and cook for 6 minutes on each side depending on temperature. If you like, you can add additional sauces as garnish or top with fruit salsa.